Someday I need to visit a psycho-analyst who can figure out why I am drawn to black or near-black flowers. I remember being on the Kitsap Peninsula (or was it Whidbey Island?) near Seattle when I saw a black hellebore. I thought it was the coolest thing. Before that, I was in a garden in Marin County, California, when I looked down to see a black pansy for the first time. Now, they sell them in late October for Halloween. They're usually in containers with orange pansies. One thing that happened to me in my pursuit of a near black iris makes me chuckle. I was in a garden in Michigan where the woman sold plants out of her yard. I spied a very dark bearded iris, and asked if she would please send me some when the time came to divide them. I gave her $10 and my address. Sure enough, during the summer when the bearded iris were dormant, I received three fans. I put them in a container so they'd be sure to have a lot of sun and good drainage. 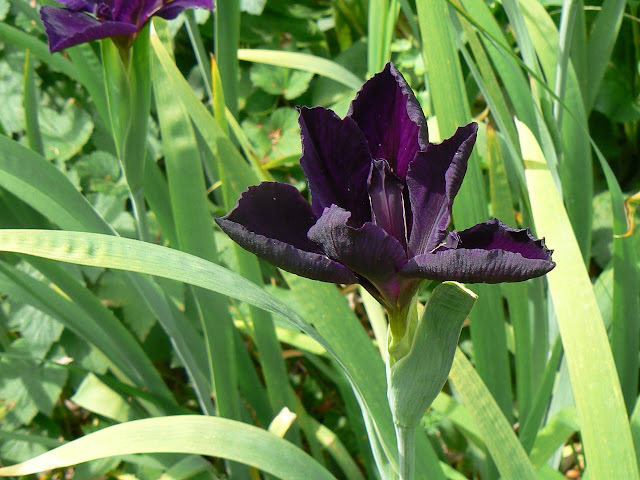 The next spring, I eagerly looked forward to my almost-black iris. Imagine my surprise when thick buds of two-toned brown and mustard unfurled. I have to say that I didn't know there could be a flower color combination that unappealing. I wondered later if I'd given her $20, would it have made a difference. Now, as to the beardless iris above. I captured this photograph in Milton and Davee Kuniansky's garden. I raved so that he kindly gave me some. Because of the bloom time, he thought it must be a Louisiana iris (surprisingly, they are hardy way north of Lousiana). Year before last, I had one bloom, and it was this same iris. I was thrilled. But here's the rub. I have another Louisiana iris that is a lovely medium violet color. It's planted right across from the dark purple ones. My discriminating deer ate the latter one, but left the lighter ones alone. I didn't have one bloom on Mr. Kuniansky's iris this year, thanks to the marauders. Anyway, I will continue to be on the lookout for very deep purple or near-black flowers. I took a photo of a rose in France that looked like it was cut from the cloth of a fancy bordello (how would I know this? Just guessing, really). It was a dark, dark velvety burgundy, and very appealing. So, the hunt is on. I'm about to go to France, and I'll have my camera ready to capture anything interesting. I hope to have some good photos to share when I return. Maybe there'll be a dark, mysterious flower I haven't seen before. On verra. 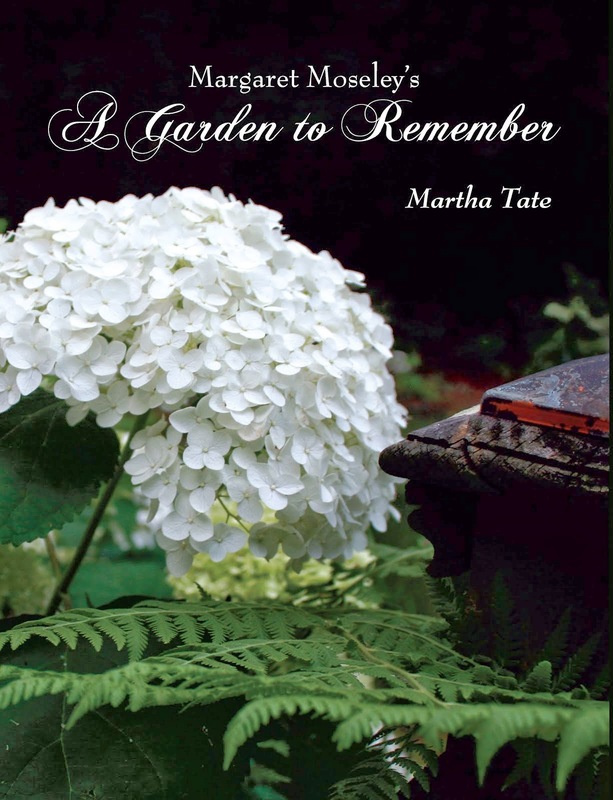 Tis interesting that you are pulled toward the dark flowers...have you seen the almost black petunias?